Desitin Diaper Rash Cream has been a favorite among parents for years and it is for a good reason. This cream will give the instant relief to your little one and make the rashes go away in just a couple of hours. The formula is safe to use on a daily basis as long as it’s needed and it works well with all types of diapers. The paraben-free formula that does not irritate skin. Might cause health issues if ingested. This diaper rash cream is effective and the results are evident almost immediately. So if your baby has sensitive skin that requires gentle care, Desitin Diaper Rash Cream could be the best solution that will make both of you happy. Zinc oxide is the key ingredient in Desitin Diaper Rash Cream. It is crucial for keeping the moisture away from the delicate skin of your baby, creating a safe environment inside the diaper. Moisture makes every diaper rash worse and the skin cannot heal properly. Zinc oxide works well from the very first use and you will notice the difference right away. Desitin is thoroughly tested and has numerous health certificates that guarantee the safety of this product. However, if you are looking for a natural and organic diaper rash cream, this product might not be suitable for you because it does contain some chemicals. It is still paraben-free and doesn’t have fragrances. It is also important to mention that you have to keep this cream away from your little one and call emergency services if he or she swallows the product. It can be quite dangerous so make sure that the jar is tightly sealed and kept far away from little hands when you are not using it. Also, avoid getting this product anywhere near your baby’s eyes. Contact your doctor if you notice any redness or irritation. …avoid getting this product anywhere near your baby’s eyes. Learning how to deal with diaper rashes is really important to parents because your little one will probably experience it at least a couple of times during infancy. Desitin Diaper Rash Cream has a smooth texture and it is very rich. The ingredients will act anti-inflammatory and the redness will completely disappear in a few hours. …has a smooth texture and it is very rich. This cream is safe to use at night because it will calm down any process on the skin and let your baby sleep comfortably. 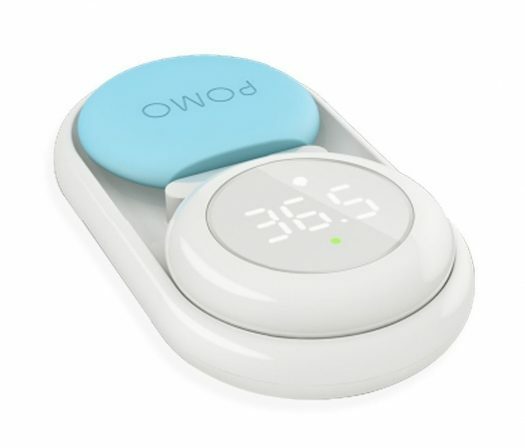 You can use it with diapers because it will create a good environment and keep the moisture away from your baby’s skin, letting it heal properly. This cream is designed to soothe even the most sensitive skin and it will not cause any additional skin problems for your little one. Desitin Diaper Rash Cream is available in three sizes. The smallest one is a 2 oz. tube, which is ideal for parents who want to have this cream close to them at all times. It can easily fit any handbag and you can carry it on family holidays or short outings. Larger packages include 4 oz. tube and 16 oz. jar. The jar will last you for months and it is practical if you plan on using this cream for a longer period of time. Larger packages include 4 oz. tube and 16 oz. Desitin has a very thick texture so it is a bit difficult to wipe off if you accidentally use too much of this product on your baby’s bum. The cream is long lasting and it can hold for hours, especially during the night time. So if you want to remove the excess cream, you have to use cleansing oil or soap. Baby wipes might not be strong enough to clean everything off the skin and there might be some cream left. …you have to use cleansing oil or soap. 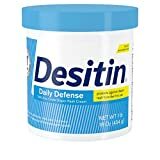 Desitin Diaper Rash Cream can be used by your entire family. It is useful for cuts, burns, or anything that needs to heal in a bacteria-free environment. It is particularly useful for teenagers suffering from severe acne because it has the ability to reduce the redness and unclog the pores. This cream will create a nice barrier on the surface of your skin which will keep bacteria and dirt away. …for cuts, burns, or anything that needs to heal in a bacteria-free environment. If you are working on a tight budget, this product might be for you. It is super affordable and you can get 16 oz. jar for an MSRP of about $16.32, usually. You and your little one will be set for months even if you use the cream every single day. Of course, the smaller packages are cheaper so you don’t have to spend a lot of money if you only want to try this product out. You can buy 2 oz. tube for far less. Regardless, you can always find it at convenient places like Amazon (Check it Out). Desitin is particularly useful during the night. It will keep your baby’s skin dry and protected for hours. If the rash is extremely bad, you have to use a thick coating of the cream in order to cover the area well. You should apply it to the areas which are not noticeably red because the chances are the rash might appear there too. This means that you will be using a lot of this product. If you go for a 16 oz. jar, it will last you for four to eight weeks of everyday use which will save you a lot of money in the long run and provide you with the desired results. The Desitin Diaper Rash Cream works quickly and will soothe the irritated skin as soon as you apply it. It is a reliable option that will provide your little one with much-needed comfort even if the irritation is really bad. Once you apply this cream, you can be certain that your baby will be able to fall asleep and stay dry during the night. It is safe to use on every skin type because it doesn’t have artificial dyes, parabens, or fragrances. Zinc oxide does wonders for acne as well so your entire family can use this cream.